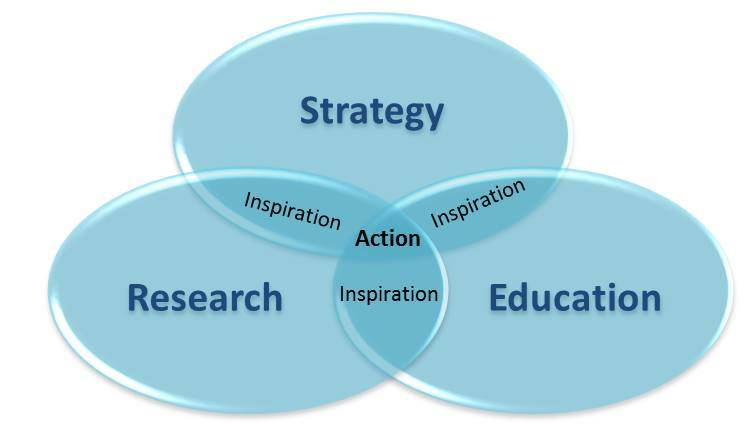 Research activities focus on providing inspiration, both about the implications of change, and about how to move from trends to action. Our reports provide frameworks and data-rich analysis of key areas of changee.g. digitalization, demographic and social shifts, offering insights for all organizations into the potential implications of major changes. Flagship publications include The Global Trends Report 2013 and The Global Trends Fieldbook.Industry Briefs look at how trends will impact specific markets, while free monthly briefings, interviews, and articles offer more food for thought. We also work with leading companies, educational institutions, business networks and conferences to createexecutive education and trend exploration sessions that bring global trends to action thinking into your organization. Working with the CEO and top team of a global chemical, environmental and next generation materials company to develop a clear ambition, vision and strategy both to deliver in the short-term and to position for long-term success over the next 20 years, including developing new markets, capabilities and technologies. Facilitating the process of sharpening the strategy of a leading global snack company, including identifying new markets and initiatives to drive growth, with the CEO, executive committee and senior teams worldwide. Designing and developing a journey/process to assist the CEOs/senior leaders of (predominantly) food and beverage SMEs in developing their strategies, organizations and leadership capabilities, in conjunction with a leading industrial development organization. Session to explore the trends and potential implications of younger generations entering the workforce for the European HR team of a global FMCG company. Working with a leading industry foundation to assess potential projects in terms of innovation around sustainability. Thank you – we really enjoyed your presentation and your personal comments to us! It was really inspirational and insightful! We have been getting nothing but positive feedback from the participants, many of which have pointed out what a great impression you made. It has been a pleasure to work with you, and I hope that we can have an opportunity to work together again before long. It was a great success. The material was exactly what was needed for the kick-off. Tracey was great at giving a keynote overview thereby setting up the topic for the rest of the night during the presentation on “Turning Global Trends into Opportunities. Tracey is an excellent speaker. There is nothing I would change or alter about what she does. For me, it is all about ‘relate-ability’ and connecting with the audience to engage and effectively deliver the key messages. Tracey does this exceptionally well. The presentation was a good success and there was a spirited feeling of interest in the audience.